New running shoes to the rescue! So much going on here and the blog is screaming for me to write, so here I am, putting all else behind and writing finally. Last week, my son got the flu, I got a small version of the flu – to be honest I was over it in just a day or two. My son is back to normal now and we continue on with life. 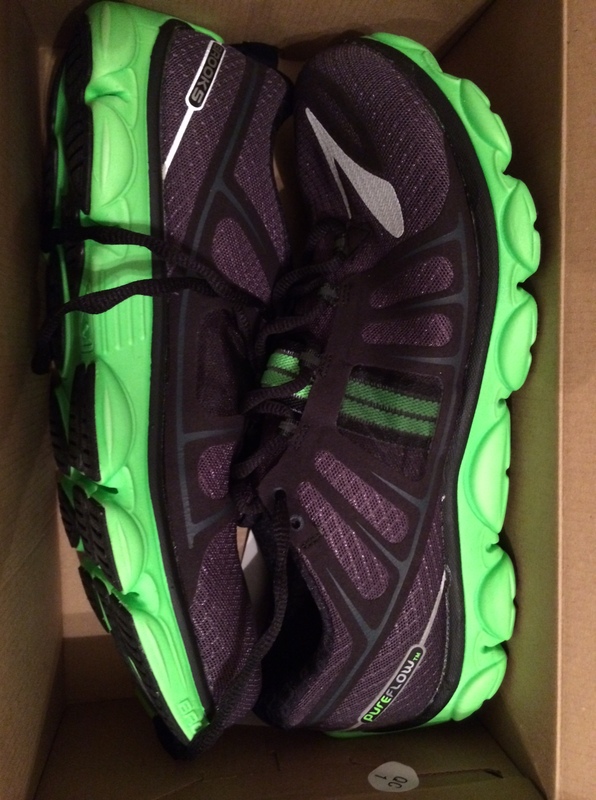 I finally broke down and bought me a pair of Brooks PureFlow 3 on Saturday. I was starting to have pains where I never have pains and my heel spur was getting angry, so I thought I should buy another pair, even though my shoes had less then 200 miles on them. I’m glad I did. As soon as I put on my new shoes, I could feel support in the exact areas I was hurting. 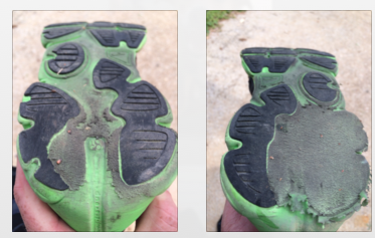 Looking at my old shoes, I didn’t really see much wear, but all my hill running had taken a toll on them. What goes up, must come down, and running down steep hills at times means a lot of pressure on my shoes. 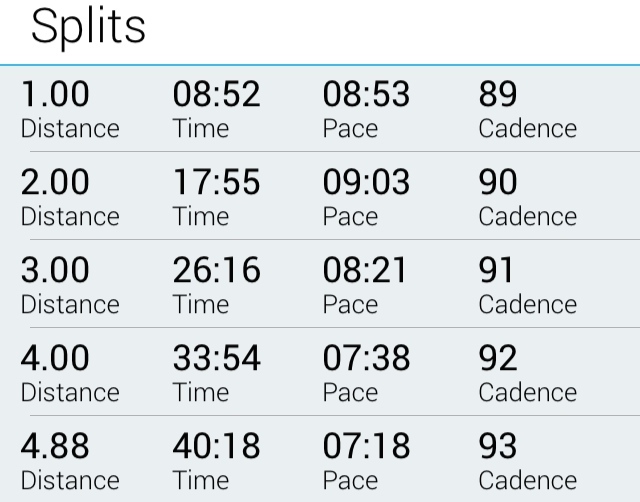 So I ran this weekend some. Saturday was my off day, but I wanted to try these shoes out. I put them on and ran a quick 2 miles. They felt great. My last mile was at 5K pace and it was over 90 outside. Sunday I wanted to run a long run or my mountain run, but my body wasn’t over the pain inflicted by my shoes that were wearing out. I chose to run 5 miles in my neighborhood. The first three were lousy. I felt weak, my legs felt heavy and it was very humid outside. Then at mile 4 I began to come to life. My legs finally decided to wake up and I had a great ending to my run. I still kept it at 5 miles for the reasons stated above, but I was satisfied with my run. Back to work today and then my hill run this afternoon if my body feels up to it. Looking at the weather, we will be in the 90’s until a week from wednesday when the temps finally plunge into the 70’s. Of course that is 10 days out and there are no guarantees. I’m still debating on the marathon in December. I have a lot going on right now and I remember the huge amount of time and effort goes into training. So, decisions, decisions. I have to make my mind up soon though. Really soon. It was exactly a year ago I ran my first marathon with TJ. I must say it was a rewarding experience. Brooks Running has great customer service! I called their customer service about my shoe and foot issue. They said that they didn’t know why I was having this issue, but that they would send me a pair of the same color as the shoes I love… No shipping… No cost and didn’t even want my old shoes back. Okay, I’m pretty impressed at that one. I love my PureFlow2 and was worried I’d have a pair of shoes that I couldn’t use. Now, actually, I do have a pair I can’t use, but I’m getting a new pair for free. That is customer service that you don’t see every day. My new shoes arrive today, so these will be converted to lawn mowing shoes for the summer. These are the first pair of non-Saucony shoes I’ve owned. TJ, RS and I went to the TrakShak in Birmingham yesterday evening to hear about training runs and events for the Mercedes Marathon in February 2014. We’ve never really participated in group runs and training runs, so this is new. While waiting for the event to start, I began trying on shoes. TJ was a huge help as I have been one sided with Saucony and he has branched out a bit. I really liked the Brooks PureFlow 2 as soon as I tried it on. My foot is a little on the wider side and it had plenty of room. It’s weight isn’t much more than the Saucony Fastwitch shoes I’ve been wearing for some time now and it definitely seems to have more support. Hopefully this weekend I’ll be wearing them on at least one run. I walked again yesterday because of my hip. It is about 90% better, but I really want to give it the time it needs to heal so that I don’t have to interrupt my training for the Vulcan 10K coming up November 2. The other great thing about the meeting last night was that there was a guy there who has run over 136 marathon and above races and has been running since the 70’s. Here is his blog. He is also a physical therapist, so I was able to ask him about my SI joint issues. He was very helpful and recommended some easy stretches to loosen it up for running. As with my Chiropractor, he said never stretch right before running. He did say to stretch as much as I can throughout the day – thus I will. I hope that things will start to settle down for me. I really like to run and I am not one who likes to do many other physical activities. I know that I should probably cross train and do other forms of workouts, but I am not an athlete. I just want to run. I don’t mind (but don’t really enjoy) running workouts. They helped me get my first half done in 1:44 which I thought was great. But for me running is simple. Running is fun. Running is what I want to do. So that is what I do. I’ll write about how I like the Brooks. It really is about time for me to move beyond one brand of shoe. Thanks for everyone’s ideas and support on my posts over the past few days. I couldn’t do this without you all!! !